The ULTIMA Series Selective Soldering and Fluxing Systems offer a new solution for soldering through-hole components and connectors to surface mount and mixed technology PCBs. Numerous engineering and design innovations have resulted in compact, bench-top systems loaded with features that deliver a level of performance that, until now, would have made selective soldering cost-prohibitive for many low- and medium-volume PCB assemblers. 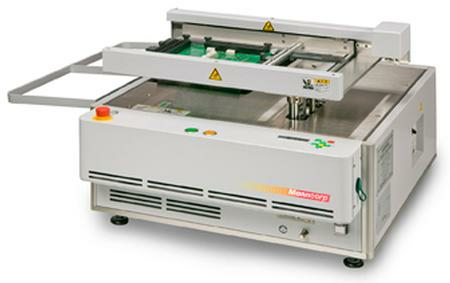 The ULTIMA TR2 Selective Soldering System incorporates a high-precision X-, Y-, and Z-axis drive that moves the PCB, rather than the solder pot, resulting in a light weight construction that takes up only 36” x 31” of table space. The 35 lb. solder pot and pump assembly features an integral nitrogen hood with a built-in micro-preheater for inerting the solder site and stabilizing the wave temperature. Operators are able to view live video of the soldering process on their laptop or PC via a bottom-side witness camera included as standard. A universal PCB holder with quick-release cam-locks handles boards up to 13” x 10”, while a larger model is available for 18” x 15” assemblies. Point-to-point or drag soldering functions are fully programmable, as are variable solder pump speed and wave height control, along with a wide variety of dip height and dwell parameter settings that insure perfect, highly repeatable, solder joint quality. A Windows™-based utility for off-line programming, data transfer, and unlimited program storage is included as standard, and software for fast generation of soldering programs via Gerber data or scanned PCB images is also available as an option. A direct cable connection from the TR2 allows instantaneous transfer of soldering coordinates to the X-Y drive and high-precision flux atomization nozzle of the ULTIMA SP Selective Fluxing System. 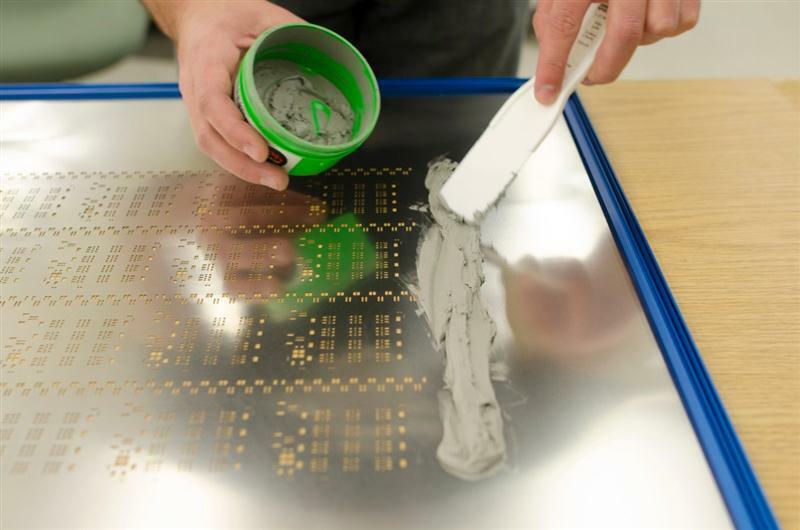 Unlike selective soldering systems that combine soldering and fluxing functions into a single unit, the combination of the TR2 with the separate SP Selective Fluxing System improves throughput (no waiting for soldering to finish before fluxing and vice versa) and keeps over-spray and sticky flux residue away from the soldering operation. It was truly informative. Your post is very useful.Many thanks for sharing!